The weather in Belgium has been surprisingly good this week. It feels like summer again, warm and sunny, and you can hear birds chirping away. Though the days are getting shorter, still it is a good reprieve from the terribly wet and cold belgian summer that we have had this year. I thought I would make use of this last stretch of warm weather to make some bread. 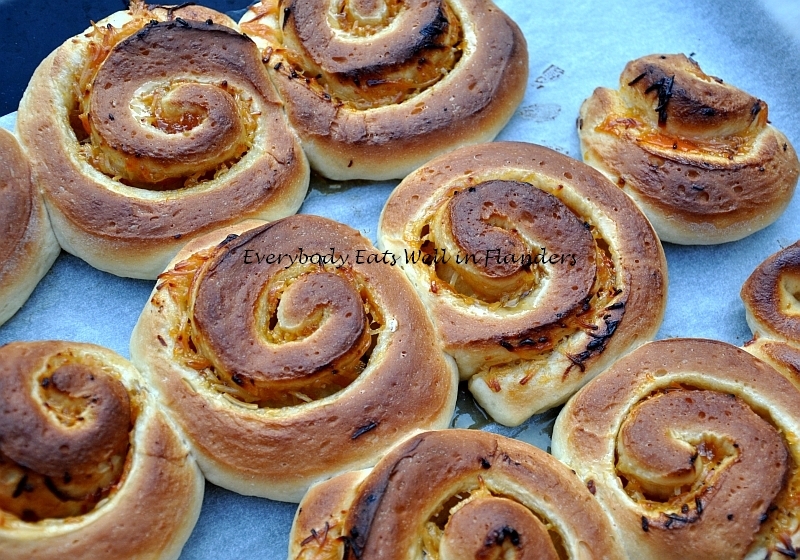 It is much easier and faster to leave the dough to rise outdoors which is why I much prefer to bake in summer than in winter. 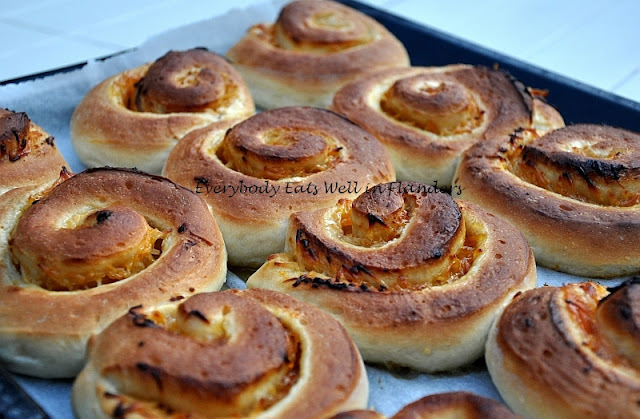 I revisited my orange marmalade roll recipe, one of the first few bread recipes which I attempted last year when I was still very much a bread idiot. Not that I am an expert now, but I have at least made some progress in my bread-baking skills. I especially like the taste of the sweet marmalade jam coupled with savoury grated cheese. Enjoy it with a cup of hot earl grey tea on a warm autumn day in Belgium. Hmmm, lekker!!! Beautiful! I'd love one of those for breakfast. It's Autumn and I am flooded with pumpkins!